Granite City Gearheads » Blog Archive » Discovery and Recovery! Posted by carrie block On May 8, 2017 Comments Off on Discovery and Recovery! 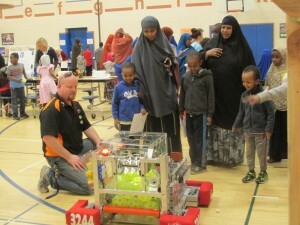 Last week we went to Discovery Elementary School and showed them our robot. 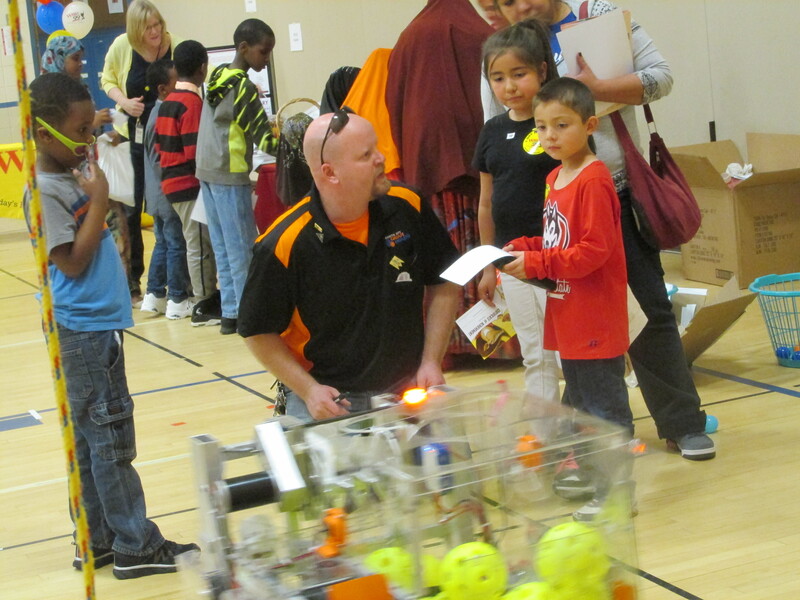 It was fun to explain how the robot works, then see their faces light up with amazement and curiosity. They asked lots of questions and they seemed very interested in how the robot worked and how it does so many things. They had lots of fun rolling the balls to the pickup area and watching them get sucked up into the robot. We also worked on our candy robot this week. We took it apart and made the bolts and screws stronger so they would last longer in our parades. We changed our design so that there are two batteries, which allows us to change the battery and have the robot keep moving. We added a few more wires and changed a few to keep the wires in good safe condition and to keep them organized.